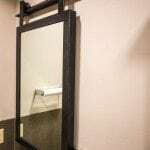 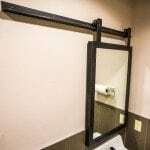 Here is a fun way to dress up a bathroom mirror. 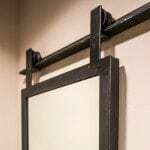 We made these steel frames with integrated barn door hardware to mimic a sliding door’s motion. 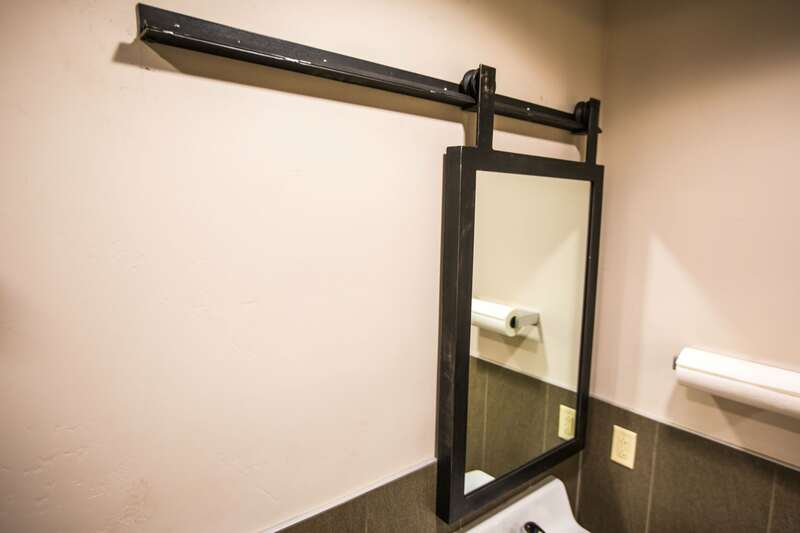 This serves as the mirror in both the men’s/women’s restrooms in a commercial space in both their men’s and women’s restrooms.